TheDigital Juice ChromaPop Studiois a portable, high-quality green screen solution that can help you tackle even the most ambitious shots. It can add high-end production value to any shoot while still providing flexibility to shoot your talent on location. 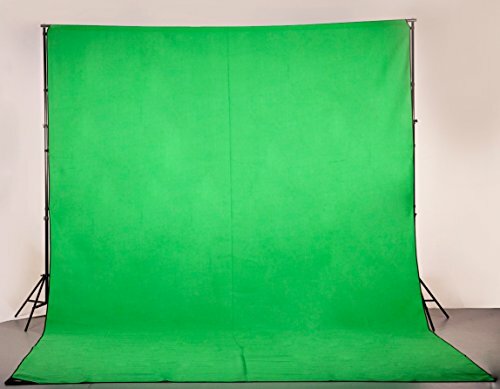 These large format green screens allow you key out multiple people, large objects or both, providing a solution for jobs that would otherwise require renting out a professional cyclorama wall at a local studio. Made from durable high-grade foam-backed polyester, the ChromaPop Studio screenfit into a lightweight weatherproof carry bag, they remain extremely portable despite their size. They are lightweight enough to easily transport anywhere your production takes you and compact enough to easily store in a closet, corner or back seat when not in use. Each ChromaPop Studio package also includes a 30-sheet Sticky Mat to effortlessly clean dirt and debris from the shoes of your talent and production staff before stepping onto the screen fabric. If you have any questions about this product by Digital Juice, contact us by completing and submitting the form below. If you are looking for a specif part number, please include it with your message.